The Wyoming Senate last week passed 20-10 a bill declaring that insurers don’t have to pay for an OEM part if an aftermarket part “approved by a national certified organization” exists. Any consumer who wants an OEM part “shall pay any additional cost” unless their policy allows otherwise, the measure states. 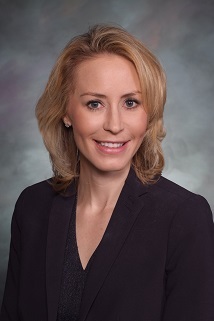 “An insurer shall not require the use of aftermarket parts in the repair of an automobile unless the aftermarket part is at least equal in kind and quality to the original part in terms of fit, quality and performance as approved by a nationally certified organization,” states Senate Bill 95, which was backed by lead sponsor Sen. Tara Nethercott, R-Cheyenne, and co-sponsors Sens. Stephan Pappas, R-Cheyenne, and Wendy Schuler, R-Evanston. “Insurers specifying the use of aftermarket parts shall consider the cost of any modifications that may become necessary when making the repair. (a) No insurer shall directly or indirectly require the use of non‑OEM parts nor shall any insurer accept any estimate or authorize any repair unless the consumer is advised that he or she is not required to accept non‑OEM parts in the repair of the vehicle and consents in writing to the use of those parts before repairs are made. Even the National Association of Insurance Commissioners’ model legislation apparently used as a template for SB 95 and Chapter 19 doesn’t lock in the consumer to pay the difference in the manner of the new bill. It’s a particularly nasty break for at-fault drivers, for they’d be the ones on the hook if a third-party claimant to the insurer wants OEM parts and their property damage liability insurer doesn’t feel like paying for anything other than aftermarket. Nethercott had not yet replied to an email and phone message around noon seeking comment on the bill. Unfortunately, neither the committee nor the full Senate bothered to define what kind of organizations they meant or who would certify the certifiers. Nethercott’s original bill also merely required an insurer notify the consumer in writing about the existence of aftermarket parts. But the committee added language that the consumer “shall sign or acknowledge receipt” of the notice that aftermarket parts will be used, at least reducing the chance the consumer will just gloss over the language. “• Who is to determine that parts meet OEM standards? “• What state agency is equipped to evaluate certification standards? “• How does this protect the consumer? ASA lobbyist Robert Redding Jr. attacked the bill in a Facebook Live post on Wednesday. Redding said that the National Highway Traffic Safety Administration has for years declined to develop certification or standards for crash parts, and he wondered what state agency in Wyoming was equipped to evaluate a certification standard. He asked who would conclude that a part met OEM specifications. “Who’s gonna determine that?” he said. Would it be self-certification, or “an industry group that pops up for hire” without qualified staff to handle the issue, he wondered. How would it protect the consumer, he asked. “Why are we doing this?” he said. Would it assure insurance rates would fall in Wyoming, he asked. What had been the policy dialogue on vehicle safety under SB 95, he wondered. “These are important issues” demanding “more than a superficial review,” he said. Why would lawmakers take any bill that impacts collision repairers and vehicle owners and “push this through within two weeks?” Redding asked. The measure contained no protections for shops in a more concerning litigation environment, and it had no consumer protections, he said. 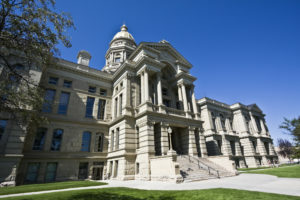 Redding said the ASA was working with Wyoming shops and paint distributors to block the bill’s passage without more study and stakeholder input. “This is a bill we need to stop in its tracks,” he s aid. Be heard: Wyoming lawmaker contact information can be found here and here.